Padraig Harrington is happier in himself these days. But he also admits he needs to get away from tournament play for close to 10 weeks this winter. Call it burn out, call it frustration. Call it the effects of several years of over expectation and under performance. 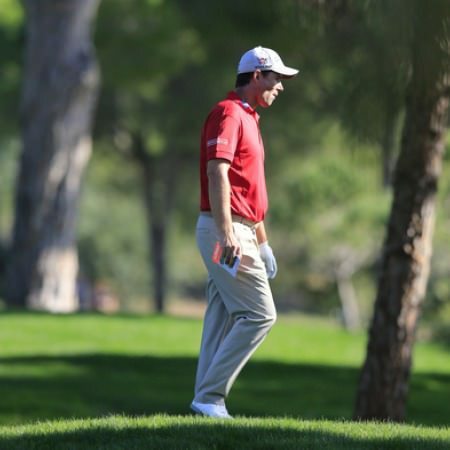 Whatever you want to call it, Padraig Harrington admits he needs a break. A long break. Forget about the fact that he needs world ranking points to qualify for the Masters and the Ryder Cup. He’s determined to take the guts of two and a half months off to get ready for 2014, which could mean that if he fails to qualify for the season-ending DP World Tour Championship in Dubai next month, he may not reappear until the Waste Management Phoenix Open at the end of January. 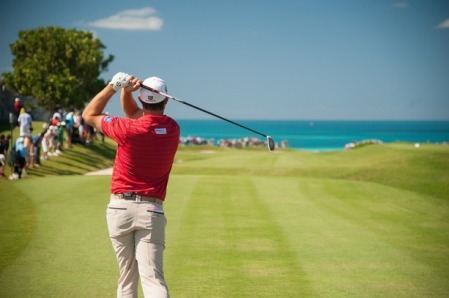 After shooting a jaded, three over 74 to prop up the four man field after the first round of the PGA Grand Slam of Golf at Port Royal Golf Club in Bermuda - Justin Rose shot a 67 to lead by two from Jason Dufner (69) with Masters champion Adam Scott (70) three back - Harrington knows he needs his break. 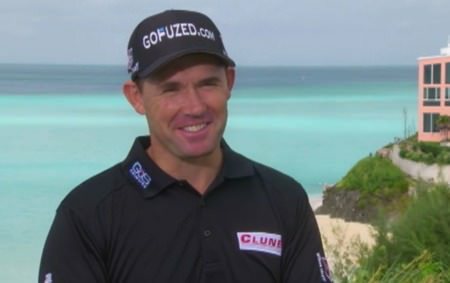 “I played stale golf, tired golf,” Harrington said. “Definitely hitting the ball better than that, and just decisions and things like that, I just kind of look at it and you know, just played probably too many events and I feel it’s time for a break. “I know I have a couple more events to go, but you know, the way I played out there, for sure, I didn’t make one birdie from play. The three birdies I made were all on the par 5s, tap ins. “I’m not holing any putts, even though I didn’t hit a bad putt all day. And any time I hit an average shot or a bad shot, I end up making a bogey or more from it. Asked if he was missing intensity in his game, Harrington said: “It’s just pure staleness in the game. Just overplayed. I’m now already in my head pulled out of another two events during the winter to give me a longer winter break. “It will be probably the longest winter break I’ve taken probably since I won my Majors. I used to take eight weeks. That was cut down to six weeks for the last number of years. “So I’m definitely going to bring it back up to eight weeks and even examine it further to see if I can maybe take another one or two tournaments out of it, as well, and take close to a two and a half month break. Rather than think about it as sacrificing opportunities to make the Masters before Christmas or racking up Ryder Cup points, Harrington knows he simply needs time to regroup and recharge after falling out of the world’s top 100 for the first time since 1999 this week. “Obviously the longer you take off, you’re letting other people get a head start,” said the world No 101. “So I need to get back into the Top 50 to get into the Masters. And if I don’t play, I can’t get in by the 31st of December, so that sort of stuff. “But you still just want to play the best golf you can when you tee it up, and the best way of doing that at this moment, looks like I’ve probably played a little bit too much, and I need to take a step back and have a bit of a rest; which will be incredibly frustrating for me, which is probably the best thing about it. “I’m not the sort of guy when I do take time off, I practice and I will practice. But I’d be the sort of guy that always want to be out on the golf course playing. It will be interesting taking a little bit of a longer break. “You know, the thing is, I’ve seen it before, from experience. And when I look at like a shot like on the third hole today, I’m thinking of hitting a nine-iron. Okay, we’re going to go with a smooth, choked eight-iron, and I hit it hard. “The intention was to hit a nice, smooth eight-iron and you stand over it and you give it a little extra. That’s a pure example of getting in your own way. “Another example of that, like the chip shot on the back of 14, I completely overplayed it. I didn’t really see what I wanted to do. Wasn’t that I miss hit the shot or anything like that. I didn’t see it. And that’s another sign of you’re just not with it when you’re doing things like that. “It’s a fine line, because I like to play to keep myself competitive, too. But there’s not a shadow of a doubt. I would struggle to compete like Steve Stricker, playing, having two or three weeks off and playing an event. “But I’m more likely to cram my events in and take bigger breaks. That would be ideal for me. I do like playing two or three weeks in a row. I don’t have a problem with that. But probably need to tone down the practice, too. I overdo that, as well. It will be an interesting one, but there’s not a shadow of a doubt that I am completely overgolfed at this very moment. “And I’m looking everybody is going to read your articles and say, how could you be over golfed, but I’m completely overgolfed at the moment. Padraig Harrington believes that becoming a father the second time is the reality check he needs to win another major. Padraig Harrington will play the Jolly Green Giant this week as iceman Robert Karlsson bids to leave him out in the cold in the Order of Merit race. 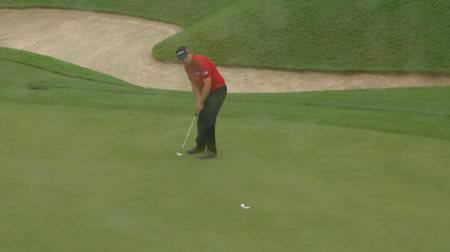 Harrington will be hoping for more than just "better"
Padriag Harrington watches a birdie putt wriggle in the side door at the seventh in final round of the PGA Grand Slam of Golf in Bermuda. There was a certain sadness in Padraig Harrington’s comments at the PGA Grand Slam of Golf in Bermuda where he finished 11 strokes behind Masters champion Adam Scott on three over par.